Rhianna Russell removes a native plant before planting it at Templeton Elementary School, Thursday, September 7, 2017 in Bloomington, Ind. Dr. Malcolm was referring to dinosaurs in his legendary quote about adaptation, but it applies just as well to the plants and animals that surround us here in southern Indiana. What does “adaptation” mean when it comes to nature? That’s one of the first questions we ask students during our native plant activities in classrooms. After students help build a definition, we sum it up with this: An adaptation is something a plant or animal has or does that helps it to survive. At any age, the children we work with are remarkably good at coming up with a definition close to this one. By asking them questions, we encourage students to start thinking about the world around them in a new way. The books in the series “Who’s Been Here?” challenge readers to dig deeper when observing their surroundings, by questioning what they see and using logic to deduce an answer that makes sense. When the seeds grown by the students are ready for transplant, we help them prepare little pots to take home. In 2017, the students at Helmsburg Elementary in Brown County raised enough plants for every 3rd and 4th grader in the school to take several home with leftovers to share with staff at the school. This May, they shared their extra plants at the Beanblossom Farmers’ Market, with the kids themselves running the booth. Education that is immersive and interdisciplinary can have far-reaching effects. 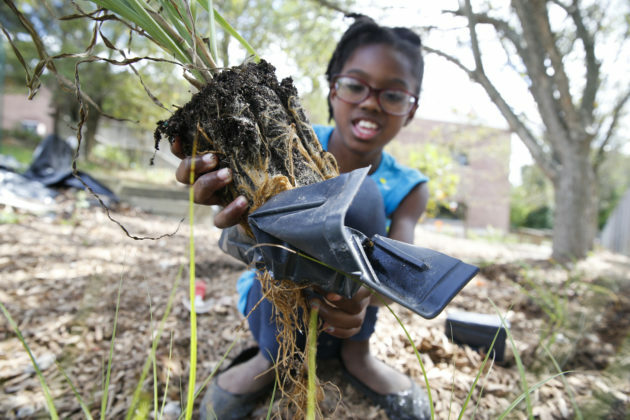 This simple project – growing seeds in the classroom, taking them home, and sharing them with community members – introduces students to the importance of native plants, the complexities ofecosystems, and the importance of philanthropy. All the while, they might think they’re just getting to play in the dirt. Sycamore also works with schools to incorporate native plants on their campuses. The Duke Energy Foundation and the Brabson Library and Educational Foundation have generously funded the Native Plant Project, enabling us to purchase flowers, grasses, shrubs, planting tools, mulch, and trees. At Helmsburg Elementary School in Brown County, students counted more than 30 monarch caterpillars on milkweed they had planted in their school garden. You don’t need to have a large amount of land to build meaningful habitat for native species. In fact, the book “Plant a Pocket of Prairie” by Phyllis Root shows readers how a garden of any size can be home to a world of fascinating critters. 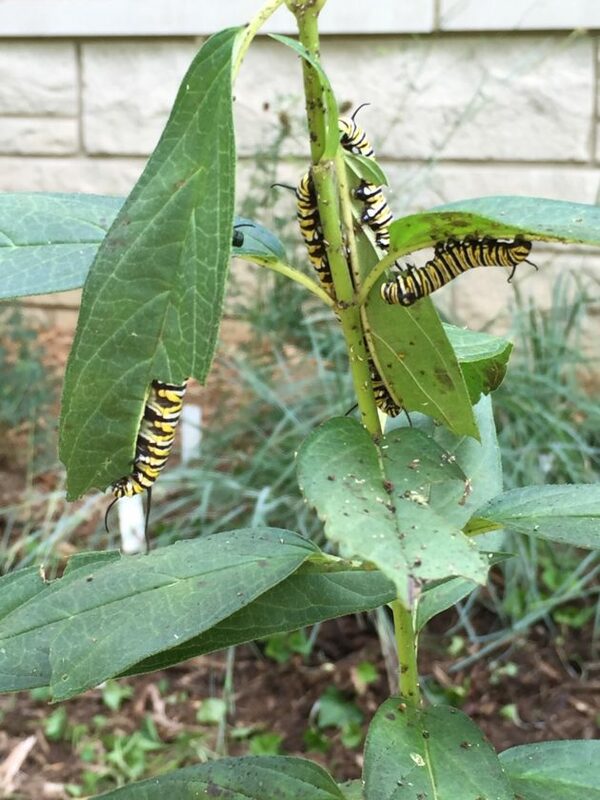 These gardens on school campuses – or in your backyard – can be filled with milkweed for monarch caterpillars (did you catch the article in our last issue of The Twig? ), Joe Pye weed for all sorts of pollinators like butterflies and long-tongued bees, and rattlesnake master for wildlife cover and insect food. If we each plant a pocket of prairie, little by little, together we can create a substantial amount of habitat for our pollinators and other creatures that depend on native plants. This is how Sycamore builds a nature preserve. Beanblossom Bottoms Nature Preserve started out as about 80 acres two decades ago. Today, Sycamore protects and stewards nearly 1,200 acres in the Beanblossom Creek Conservation Area. Now we see bobcats, the endangered Kirtland’s snake, bald eagles, and many types of warblers at this wetland forest teeming with life. 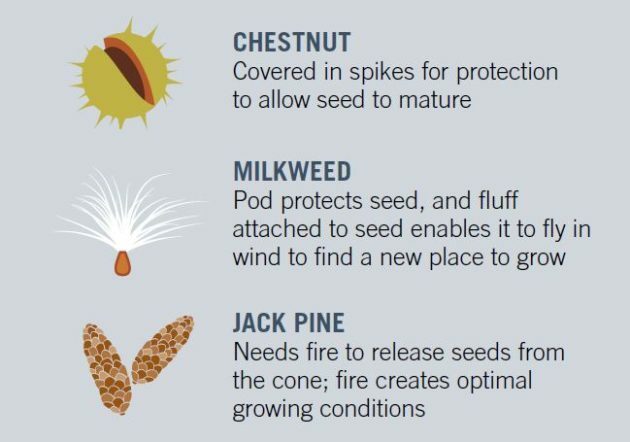 Native pollinators and other wildlife have co-evolved with native plants, building a mutually beneficial relationship that is crucial to the survival of both plants and animals. Native plants and ecosystems help to clean our air and water, and create healthy soils. Remnant natural areas offer a glimpse into Indiana’s wild past, and what we might attain if we restore some of that habitat.